I'm super excited about this one! 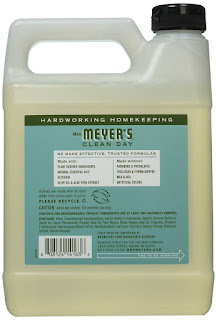 If you've got something to order off Amazon today - make sure to add this *BEST PRICE* Mrs. Meyers Liquid Hand Soap Refill, Basil Scent, 33 Oz ONLY $6.99 - in-store price is typically around $11. I want to try this smell.